home Community ideas/opinions, Events Join Us for Urban Talks in Timișoara! Join Us for Urban Talks in Timișoara! 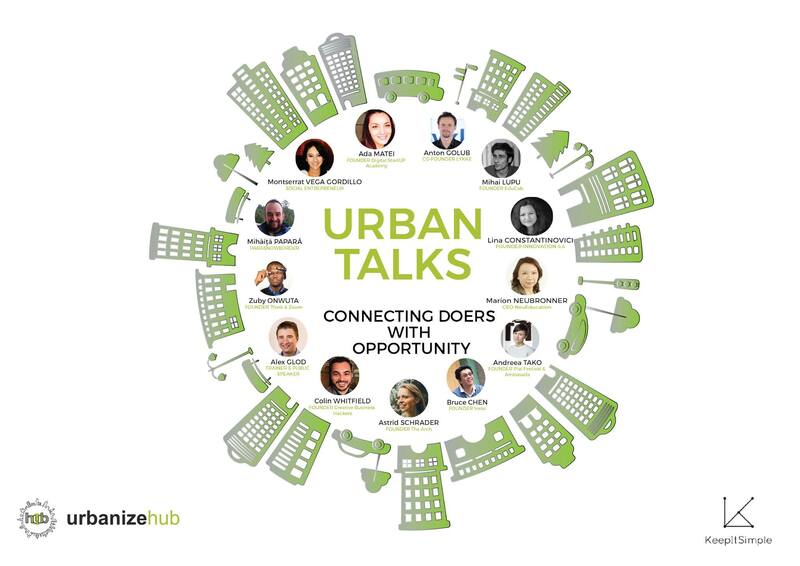 UrbanizeHub and KeepItSimple are organizing the first edition of Urban Talks, which will take place in Timisoara on October 6th, at the West University of Timisoara. This first edition of Urban Talks will be part of the innovative international event called Connecting Doers with Opportunity. The purpose of the event is to provide solutions for both local & global challenges by promoting a knowledge-sharing culture and creating a global community of doers. The idea was born out of a simple need of connecting innovators, creatives, tech enthusiasts, community leaders, companies and citizens who share the same values and dream of a better world. 20 people from all across the globe will be on the Urban Talks stage to talk about their projects, start-ups, technology, innovation, communities, and about how we can change the cities we live in and the world. They are social innovators, investors, people who transform communities, researchers involved in revolutionary projects, tech people, consultants or artists, and they all have a common purpose: to transform our cities and communities. Taipei, Mexico City, Berlin, Brussels, San Francisco, Bucharest, Timisoara, Zurich – these are the places our speakers come from and they are people with global and local vision, people who are active and who make things happen. To learn more about our speakers or other details about the event, go to keepitsimple.care.